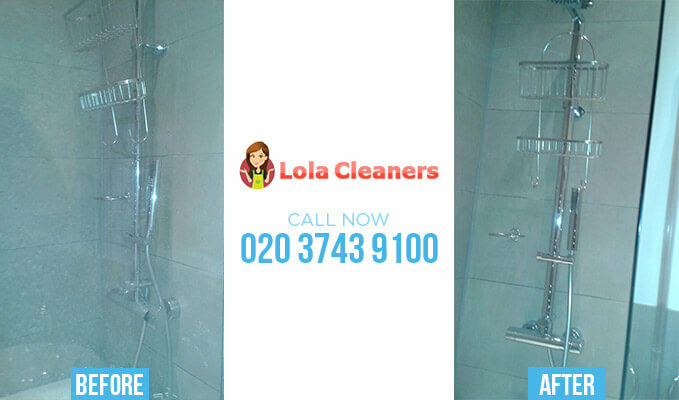 If you require end of tenancy cleaning services, look no further than our team of dedicated cleaning professionals at Lola Cleaners that can be contacted on 020 3743 9100. We are a specialised cleaning company and have extensive experience in dealing with end of lease cleaning. We will provide you with a reliable and efficient move out cleaning service. We are competitively priced and have an excellent reputation. For every job we undertake, our aim is to achieve complete customer satisfaction and we are proud to be one of the leading firms for managing end of tenancy cleaning in the area. We are pleased to be able to say that a large proportion of our work comes from customer recommendations which we believe is testament to our first class move out cleaning services. We provide our services to landlords, agents and tenants requiring a complete property clean. We find that many landlords or agents require our services following tenants vacating properties as unfortunately, quite often, houses and flats are not left sufficiently clean for the purpose of re-tenanting the property and are often in need of a thorough end of tenancy clean from top to bottom. The majority of work undertaken us is our moving out cleaning service and our team of professionals have a high level of experienced in tenancy cleaning. When choosing a cleaning company, not all cleaning companies provide the same high quality of post tenancy cleaning services as our firm. We are not content until each customer has inspected our work and is 100% satisfied with the level of cleaning provided. Our staff are trustworthy and reliable and will work methodically and efficiently to get the property as clean as possible, as quickly as possible, meeting any deadline. We are very flexible with our hours of cleaning availability and can usually attend properties at short notice to manage any urgent move out cleans. Whatever cleaning requirements you have, give us a call on 020 3743 9100. No job is too big or too small for our professional cleaners and we will do our utmost to accommodate your needs. As part of our tenancy cleaning package, we will put together a tailored made plan to ensure that nothing is missed. Our end of tenancy clean includes intensive deep cleaning of bathrooms and kitchen, cleaning of cupboards, floors, windows, vacuuming and dusting. We can also arrange to deep clean the oven and give the carpets a good clean, leaving them visibly cleaner and smelling fresh. Nothing is too much trouble for our dedicated cleaning staff who will work hard to exceed your expectations. We can clean the filthiest of kitchens, and bathrooms and love getting our hands dirty! We have the necessary equipment to get into all the nooks and crannies, ensuring that the property is completely clean from top to bottom. We can also jet clean any patios or paths as may be required. All of our staff are recognised by their uniforms and are completed trained before being set to work. We supply all of our own cleaning products and use only the best on the market to get the job done. We also ensure that the most efficient cleaning equipment is used to get your property spotless. For your peace of mind, we are fully insured in the very unlikely event of any cleaning accidents. For full details of our extensive end of tenancy cleaning services telephone Lola Cleaners on 020 3743 9100 today for a chat with our friendly sales staff who would be only too pleased to discuss your requirements and provide a non-obligation competitive quotation.